Senior Care: What Are Great Caregivers Doing that You Should Do, Too? What Are Great Caregivers Doing that You Should Do, Too? When you think about being a better caregiver, you might worry that you’re not doing enough or that what you’re doing isn’t quite right. But the things you could be doing to be a better caregiver might be a little different from what you expect. Caregiving requires so very much from you. There is constantly something that needs to be done and you only have so much time and energy to devote to the journey. Asking for help when you need it and accepting help when it’s offered gives you the freedom to be able to make better decisions as a caregiver. If you don’t have friends and family that you can rely on for help, then hiring in-home adult care providers is an excellent option. Other caregivers can also offer you an amazing amount of assistance, even if that assistance is primarily emotional support. It might be tough to meet other caregivers unless you join a support group in your area. These groups give you a fantastic chance to branch out and to share what you’ve learned, too. 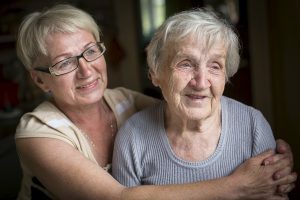 Agencies that work with the elderly often have a ton of other assistance that they can provide to you as a caregiver, too. The trick is that you need to know which agencies to contact and what they can do for you. This can be as simple as reaching out to the health department in your area to determine what agencies handle what types of assistance. If you’re not taking proper care of yourself, it’s going to be increasingly difficult to take care of your aging adult. Take some time to assess what you need and what you’re already doing. From there, you can map out a plan to start accommodating your own needs as well as your elderly family member’s needs. Other people can offer you more than simply practical help, too. They can offer you emotional support when you need to vent or when you simply need a shoulder to lean on. Look at when you last contacted friends and family and see if you might want to set up a system that helps you to keep in touch more often. Focusing more on yourself and what you need as a caregiver can actually give you a lot of tools that you need in order to be an exceptional caregiver. This seems backward, but it’s vital because you have to take care of yourself in order to take care of others. If you or an aging loved-one are considering in-home adult care in Clarksville, MD, please call the caring staff at Global Hands Inc. Call today 240-264-0769. This entry was posted in Family Caregiving, Senior Care in Clarksville MD and tagged senior care in clarksville md. Bookmark the permalink.